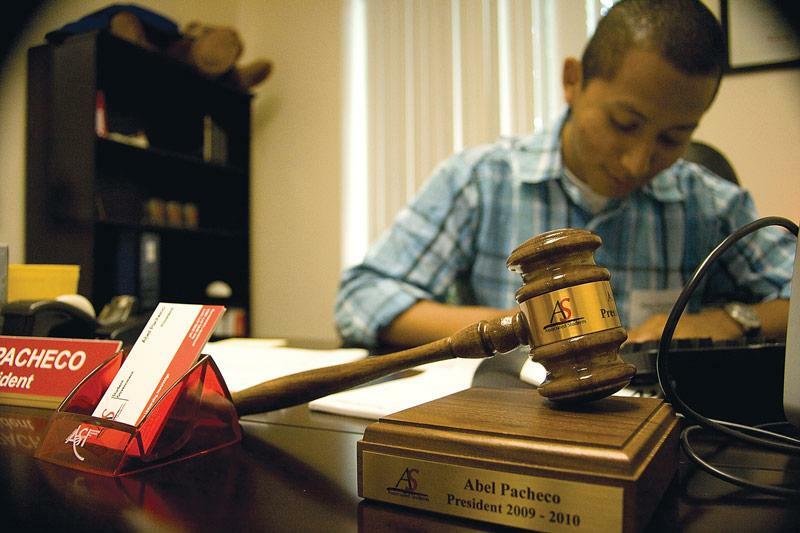 Associated Students (A.S.) President Abel Pacheco reflects on his administration's progress in his Fall 2009 president's report. Aside from addressing student concerns, Associated Students (A.S.) is charged with providing spirited programs and events that help create a community feel. One such successful event was recently completed in collaboration with the Residence Hall Association (RHA) and the University Student Union (USU): the India.Arie concert. On Saturday, Oct. 3, the biggest spirited event of the semester will be coming up. The Big Show, a concert aimed at bringing together the campus. Tickets are only $5 for students, and can be purchased at the A.S. Ticket Office, Matador Bookstore, Mercantile Exchanges, Freudian Sips and at www.ticketmaster.com. Double headliners: Lupe Fiasco and Talib Kweli with additional performances by Far East Movement, hosted by POWER 106’s DJ FELLI FELL with surprise acts! Clubs and Organizations Pavilion: 30 clubs and orgs showcasing different booths and fundraising efforts. Prizes will be given to most spirited decor! Big Show 9 is an event that we expect to be very spirited and an excellent way to create a community among CSUN students, staff, faculty and alumni, as well as support for student clubs and organizations. Along the same lines, we have also introduced a “spirit exchange” program whereby students can exchange apparel from other schools for CSUN apparel. This program runs through the end of the week at the bookstore and items traded in will be donated to the charity Meet Each Need with Dignity (MEND). If you would like to become involved in creating these and other exciting programs, please stop by our office and ask us how to get involved or visit us at csunas.org. Elections for next year’s senators are coming up and applications are available in the A.S. central office in the University Student Union.